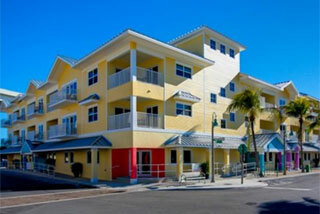 Our condominium hotel is the breath of fresh air that Fort Myers Beach was longing for. Harbour House at the Inn offers concierge customer service with thirty-four individually owned condominium suites just steps away from Ft. Myers Beach. We offer boat dockage and bay access right in the heart of the Times Square walking district resort area! Our hotel is completely brand-new and the all-suite floor plans are exquisite--whether you're here for that long-awaited fishing getaway or a fun-filled family beach vacation, you'll always find the ideal Ft. Myers Beach resort amenities. Relax while experiencing the "Old Florida" charm of our 1926 lodge. 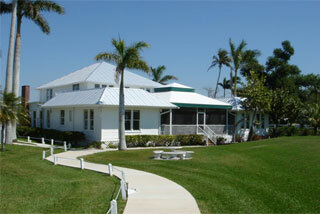 Savor lunch, dinner or an overnight stay with waterfront views of Pine Island Sound. Listen to live music as you sip & snack from our bar menu. Visit pre-Colombian Mounds of the ancient Calusa, play golf, paddle the Great Calusa Blueway, take a day-trip fishing, or enjoy birding and pristine nature while boating to our sister resort Cabbage Key. Welcome to our piece of paradise!